Can MR elastography be used to measure liver stiffness in patients with iron overload? Untreated hepatic iron overload causes hepatic fibrosis and cirrhosis and can predispose to hepatocellular carcinoma. 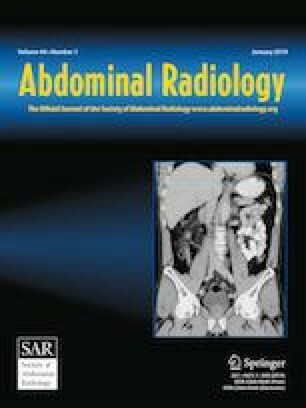 MR elastography (MRE) provides a non-invasive means to measure liver stiffness, which correlates with liver fibrosis but standard gradient recalled echo (GRE)-based MRE techniques fail in patients with high iron due to very low hepatic signal. Short echo time (TE) 2D spin echo echoplanar imaging (SE-EPI)-based MRE may allow measurement of stiffness in the iron loaded liver. The purpose of this study was to describe the use of such an MRE sequence in patients undergoing liver iron quantification by MRI. In our preliminary study of 43 patients with mean LIC of 9.3 mg/g (range 1.8–21.5 mg/g), liver stiffness measurements could be made in 77% (33/43) of patients with a short TE, SE-EPI based MRE sequence. On average, mean LIC in patients with failed MRE was higher than in those with successful MRE (15.9 mg/g dry weight vs. 7.3 mg/g), but a cut-off value for successful MRE could not be established. Seven patients (21% of those with successful MRE) had liver stiffness values suggestive of the presence of significant fibrosis (> 2.49 kPa). A short TE, SE-EPI based MR elastography sequence allows successful measurement of liver stiffness in a majority of patients with liver iron loading, potentially allowing non-invasive screening for fibrosis. We thank Richard L. Ehman, MD, PhD, Scott Kruse, BS, and Kevin Glaser, PhD, of Mayo Clinic (Rochester, MN) for their support and technical assistance related to MRE. There were no grants or other financial assistance for this research. This was a retrospective study and informed consent was waived by the IRB.